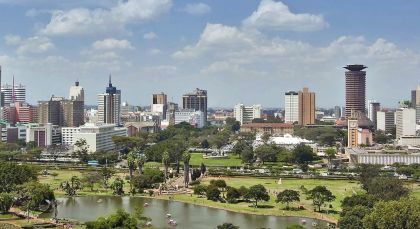 Discover the famous and the lesser-known national parks of Kenya! In addition to the endless grasslands of the Masai Mara, travel to the lesser known national parks where wildlife roam freely. In Meru, observe huge herds of elephants and discover an astounding variety of wildlife in the Ol Pejeta Conservancy of Laikipia. 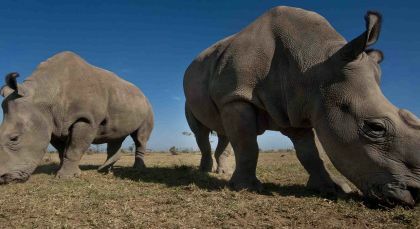 Ol Pejeta is a private wildlife conservancy, situated between the foothills of the Aberdares and the magnificent snow-capped Mount Kenya, and has one of the highest density of wildlife in Kenya and boasts an astounding variety of animals, including the “Big Five“. 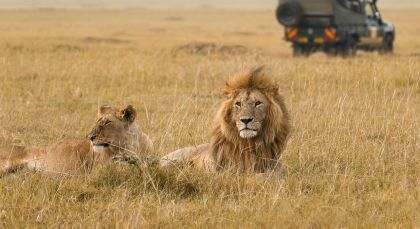 Experience stunning wildlife sightings against the evocative backdrop of Africa’s Great Rift Valley on game drives in Kenya’s Central Highlands. The breathtaking vistas of the Ol Pejeta conservancy is set amid the Aberdares foothills at one end and Mount Kenya on the other. It is extremely rich in large and small game as well as exotic birds, including the Big 5. Expect to spot endangered rhinos, Savanna elephants, lions, buffalo, endangered chimpanzees, zebra, giraffes, gnus, ostrich, ibis, pelicans, eagles and many more on thrilling game drives! The best time for game drives is in the early mornings when the animals are particularly active and in the late afternoons when the sun paints incredible colors across the horizon. You also have the opportunity for exciting night drives to observe rarely spotted nocturnal wildlife. Born Free! Few visit Meru, which only enhances its stunning scenic beauty that includes small rivers shaded by dense riverine forest as well as raffia and doum palms. 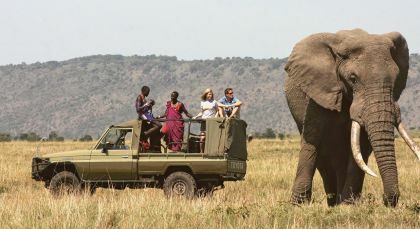 Experience spectacular sightings of elephant, hippo, buffalo, big cats and a host of other wild animals on game drives in the Meru National Park of northern Kenya. The Park is crisscrossed by numerous rivers, creating a range of diverse ecosystems, including savannah and bush land as well as swamps and riverine forests. Look out for reticulated giraffe, Grevy’s zebra and oryx that Meru is famous for. Morning and afternoon safaris offers the best opportunities for spotting animals and birds, including countless exotic species that flock to the Meru. Go fishing in the river while pods of hippos wallow close by and numerous water birds roost by the riverbanks. Set out on a bush walks with an experienced naturalist and guide to discover diverse plant and animal species that inhabit the park. You can also visit a village to learn more about the life and culture of the local community. Enjoy refreshing sundowners out in the open as the sun sets in the distance. Trip to Kenya – a memory to cherish. Thanks to Enchanting Travels for planning the trip for us. Their attention to small details such as noticing my mother’s birthday from passport and throwing a surprise at the hotel we stayed at, is what we cherish. During every trip with Enchanting Travels we end up making more friends.